Henry Ford Health System received an anonymous $20 million gift, the largest in its history, that will fund the Henry Ford Pancreatic Cancer Center, the tentative name for a global consortium of researchers that will seek to develop better methods for earlier detection of the disease that has a five-year survival rate of only 8 percent. 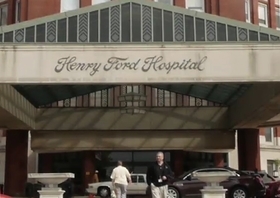 Officials for Henry Ford said the donor wishes to remain anonymous, but that the family is well-known to Henry Ford executives and physicians and has given multiple times in the past without seeking personal credit. The previous largest anonymous gift was $6 million. "We are grateful for this transformational gift that will allow Henry Ford to bring the best minds in the world together to shine an important light on pancreatic cancer," Wright Lassiter III, president and CEO of Henry Ford Health System, said in a statement. "It marks a crucial step in advancing pancreatic cancer research with the goal of increasing survivorship for patients diagnosed with this terrible disease." 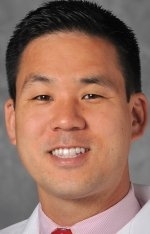 David Kwon, M.D., director of Henry Ford Hospital's multidisciplinary pancreas clinic and a researcher, said the pancreatic cancer research consortium is recruiting four fellow medical research universities and medical centers in the U.S. to form a collaborative to develop pancreatic cancer identification and treatment breakthroughs. He said the consortium will also recruit other partners in Europe and the Middle East. "Never has there been a greater momentum in the fight against pancreatic cancer, and unfortunately, the incidence of pancreatic cancer will only continue to rise," Kwon said. "To effectively fight pancreatic cancer, we need to work to find solutions to problems that have eluded clinicians and researchers to date, while embracing a culture of innovation and collaboration." Each year, Henry Ford doctors diagnose about 400-500 new pancreatic cancer patients, ranging from stage one to stage four cases. Nationally, some 53,670 people are diagnosed each year with pancreatic cancer and the vast majority of advanced cases die. Kwon said there is no effective screening tool available to diagnose pancreatic cancer early. Most people do not experience any symptoms of pancreatic cancer until the cancer has progressed to an advanced stage. "While we've made incredible advances in cancer diagnosis and treatment, where some types of cancer are now curable, pancreatic cancer remains nearly a universally fatal diagnosis," Steven Kalkanis, M.D., medical director of the Henry Ford Cancer Institute, said in a statement. "One of the challenges is pancreatic cancer is often diagnosed late, generally at an advanced stage, making it difficult to treat," said Kalkanis, who also is the health system's chair of neurosurgery. "If we are going move the needle, we need a global crowd-sourced effort to diagnose pancreatic cancer earlier and give patients a fighting chance for survival." The $20 million gift toward pancreatic cancer research was inspired by a $20 million gift from businessman Mort Harris, who donated a total of $40 million to Henry Ford in December 2016 in honor of his late wife, Brigitte, who died of pancreatic cancer in 2016. Harris donated the funds to help build the Brigitte Harris Cancer Pavilion in Detroit, which is expected to open in 2020. "Their family has been personally affected by cancer and this donor has seen up to three patients affected by pancreatic cancer and they approached us," Kwon said. "It is a pretty amazing gift because 100 percent goes to pancreatic cancer research." While unrelated to the new $20 million gift, former preventive medicine specialist Ronald Davis, M.D., a Henry Ford physician, suddenly died of pancreatic cancer in November 2008. Davis, a beloved physician at Henry Ford, was halfway through his term as president of the American Medical Association when he was diagnosed with the disease. "A lot of family members in the (Henry Ford) medical group are being affected in one way or another" by pancreatic cancer, Kwon said. "It weighs on everyone's mind. Brigitte was my patient. I treat pancreatic cancer patients every day. Along with brain cancer, the survival rate for pancreatic cancer is the worst of everything." Kwon said the $20 million gift will be used to create the multi-institutional pancreatic consortium. It will serve to drive the research initiatives with focus on early detection, data analytics, translational research, precision medicine and clinical trials. "Funding from foundations and the (National Institutes of Health) are tight," Kwon said. "Now we have the ability to use philanthropic funds to do it cheaper, better and faster. We can do research more efficiently. We are committed to be open with our data. We want to find partners to do quality work and are nimble that way." The funding will also create an endowed director's fund to support the hiring of a leading pancreatic cancer clinical leader and a research leader and an endowed fund to establish an administrative director for the Henry Ford Pancreatic Cancer Center, a name that Kwon expects to change. "There is no gold standard early identification test today. There really isn't anything for pancreatic cancer. Many people have published promising studies, but the frequency (of pancreatic cancer) is so small it is hard to validate," Kwon said. "With our global consortium, we can share this data and if someone can find a promising biomarker, we can validate it internally." Kwon said he believes the consortium will share research and data much more quickly than they can do independently. "We can identify better biomarkers and create a new test to detect pancreatic cancer much earlier," he said. "If we work together, we can make a dent in the pancreatic cancer death rate." Kwon said one of the problems now in treatment is that the therapy is not specific to the patient. "We have good regimens and cocktails, but we need to get better with specific patients," he said. With Henry Ford's precision medicine program, which was launched last year, Kwon said pancreatic cancer research will be a beneficiary. The program offers genomic testing and expertise of a molecular tumor board to all cancer patients. Henry Ford also is among a few select health systems in the country chosen to participate in All of Us, a National Institutes of Health Precision Medicine research program. "We are one of seven institutions in the NIH All of Us program and we are taking data and storing it. The goal is to have 1 million patients" in the database, Kwon said. "We can use this cohort data" for the pancreatic cancer research. Kwon said he believes the consortium will take six to 12 months to form because of legal issues, but it won't take that much longer to start the research. "We have been talking and a lot has already been started. We will already be doing research" in less than a year, he said. "There are so many silos in medicine. This person has a solution; another person has a problem. We each have pieces. We can combine my technology with your research and we can come up with a meaningful solution." "Henry Ford Health System gets $20 million gift for pancreatic cancer research" originally appeared in Crain's Detroit Business.